The member companies of the DOD WOSB Consortium are committed to collaborating, mentoring and engaging potential customers and women-owned businesses who support missions pertaining to the Federal Government. All of our member companies have been fully vetted against strict criteria to provide their validity and are truly owned and operated by women. Our vetting process ensures that the woman-owner is not only a majority stockholder of the entity, but also the driving force behind the business! See Membership for information about joining the consortium. 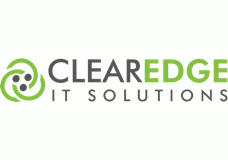 ClearEdge IT Solutions provides Software Engineering, Big Data, Cloud, and Data Science solutions and services to the Intelligence Community. We have a proven track record of successfully utilizing the Hadoop ecosystem for a variety of customers. We are personally committed to responding to our customers’ requirements by attracting only the best engineers. 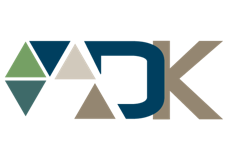 Founded in May 2003, DK Consulting, LLC, a woman-owned small business, was formed in order to provide management and technology solutions based on industry best practices. DK Consulting, LLC works with multiple State, Federal, and Commercial customers, and our services range from providing customers with that one ‘critical resource’ to assuming responsibility for an entire IT project. Eleven Peppers Studios is an award-winning, woman-owned small business that provides a variety of visual and strategic communications services to the public and private sectors. We conceptualize and design solutions that are aesthetically fresh and modern, but also compelling, smart and mission focused. Our core offerings include user interface/user experience (UI/UX) design, branding, marketing, strategic communications and graphic design. FLASH Technology Group LLC provides exceptional technology, training, and security services to the US Government and Intelligence Community. 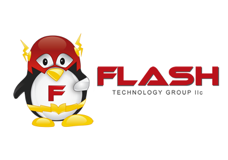 FLASH expertly engineers and develops systems that defend our nation and IT infrastructure, while enabling government agencies to accomplish their goals with an array of technology management expertise, services, and support. These include cyber security, Cloud computing, network and systems engineering, instructional systems and curricula design, and more. 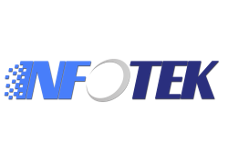 InfoTeK‘s mission is to be recognized as an industry leader in providing Engineering, Operation Support, Security, and Information Technology services that transcend above and beyond our customer’s expectations. We take great pride in our dedication to honesty, ethics, and the pursuit of excellence at every level. 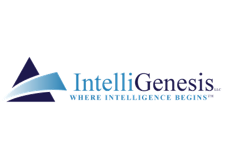 IntelliGenesis LLC is a Veteran-Owned, Woman-Owned Small Business that provides Intelligence Analysis, Artificial Intelligence, Computer Network Operations, Software Development, and Internal Research and Development (IR&D) services in support of National Security missions. Nyla Technology Solutions specializes in software systems development for the Intelligence Community. We have an exceptional reputation for innovative approaches, strategic thinking, customer outreach and engagement, as well as a comprehensive knowledge of the mission architecture. Our software engineering practice focuses on product-driven, agile development in cloud-based, big data environment – from prototypes to O&M. We are a leader in mission management – instrumentation, metrics, alerting, and UIs. 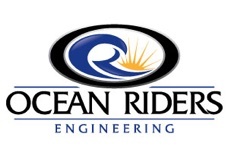 Ocean Riders Engineering Inc has been providing software development solutions since 2001. Our leadership team has 37 years of combined experience in engineering—systems, software, and testing—as well as project and program management. With a strong focus on customer service, Ocean Riders Engineering Inc. will work closely with you to complete any software project you may need. We provide fresh new ideas that can improve your software project. 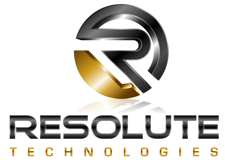 Resolute Technologies LLC (Resolute), a Woman-Owned Small Business, is an innovative engineering services company with expertise in the areas of Computer Network Operations (CNO), Cloud Computing, Software Engineering, and Systems Engineering. Our CNO capabilities include a focus on systems analysis, reverse engineering, and re-engineering of telecommunication systems and mobile devices. Our Cloud team has provided both development and infrastructure services to the Intelligence Community. In fact, Resolute engineers are the considered Subject Matter Experts in both Systems and Network Engineering with regard to building Cloud Infrastructures and Enterprise Architecture. Resolute Software engineers provide custom application development, Agile Development, Web Services Application Development, Enterprise Application Development and SOA. Our full spectrum of engineering solutions in CNO, Cloud Computing, virtualization, web services development, network design, and storage architecture enable us to effectively build solutions to solve your most difficult problems. 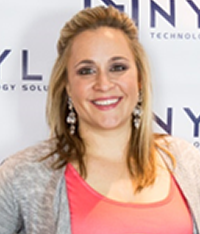 SoftTech Solutions Inc is a Woman-Owned small business, provides software and systems engineering services to the Department of Defense and Intelligence Community. With expertise in Hadoop and HBase cloud computing architectures, Information Retrieval technologies and solutions, and the full J2EE software stack, we excel at solving problems using the latest, cutting edge, open source software and solutions. We also provide extensive knowledge and expertise in the GIS arena, both in open source and COTs solutions. 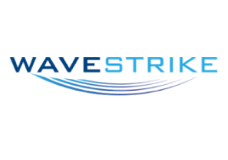 WaveStrike is a woman-owned small business founded to provide Software Engineering services to the Department of Defense and Intelligence Community. We are a premium provider of technology solutions in the areas of Cloud Computing, Service-Oriented Architecture (SOA), Distributed Computing, Geographic Information Systems (GIS), Web Applications development including Widget Frameworks, and High-Speed Messaging Solutions. 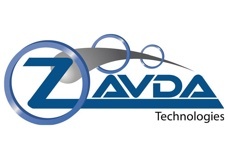 Zavda Technologies, LLC is a cleared SBA 8a and SDB certified, Service Disabled Veteran, Woman Owned Small Business, and EDWOSB business. We offer an extensive collection of technology management and intelligence services in both the private and public sector that includes the following core areas of focus: Cyber Analytics, Intelligence Analysis, Language Analysis,Systems Engineering, Network Management, Software Development, Helpdesk Support Services and Training. Zavda provides unique services and is a flexible organization with a strong commitment to its customers, partners and employees.